ASIC implementation of the PicoRV32 PicoSoC in X-Fab XH018. It contains two ADCs, a DAC, comparator, bandgap, RC oscillator and other IP. 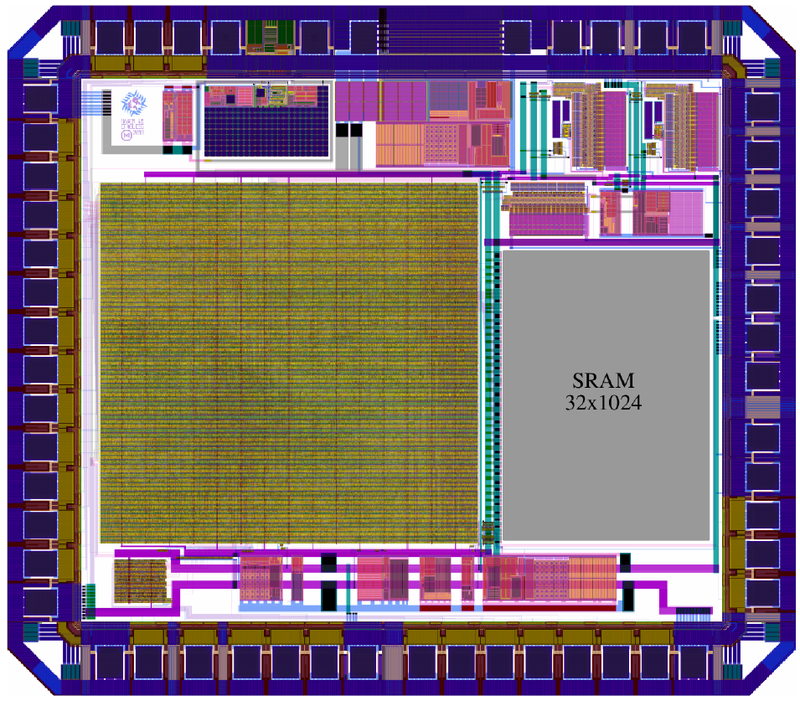 Full-chip implementation of the PicoRV32 PicoSoC in X-Fab XH018. The raven chip contains two ADCs, a DAC, comparator, bandgap, RC oscillator, and over-temperature alarm, as well as 16 bits of general-purpose digital inputs/outputs. It is powered off of a single 3.3V supply and driven by a 5 to 12 MHz crystal. The core CPU clock speed is 8 times the crystal frequency. I am building a community of HW product creators to define, develop, test and launch new customized electronics products. Chip designer for Analog Devices Open source software developer of EDA tools (opencircuitdesign.com) MakerGear M2 owner and 3D printer tinkerer.